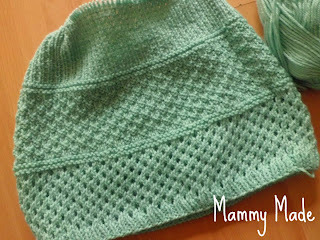 Remember a few weeks ago I joined a knit along hosted by Luvinthemommyhood? I was making a lovely lacy cardigan. I was about halfway up the back and was finding it so easy. Haha! Things went pretty much downhill from there! I don't know what I was doing wrong but I could NOT get the armhole shaping right. Every time I tried it, I messed it up so I took it back and tried again. I took it back and tried again so many times, I just gave up in the end and decided to knit something else. I haven't unpicked it so I will probably try again at some point and figure it out but I wanted something easier for my first project for me. I am currently halfway through this pattern. It is working up very nicely so far but I am yet to get to the armhole shaping ;) It is my first attempt at knitting on a circular needle and I'm finding it much easier than I expected it would be! I have spent about a week on this one so far so I'm hoping all that work hasn't gone to waste! 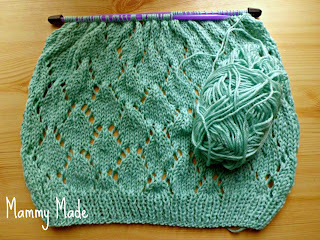 I'm using the same yarn, Sirdar Snuggly DK in the gorgeous turquoise colour. I love it! Here's to finishing my first ever knitted thing for me :) I hope I can do it. Love that color! 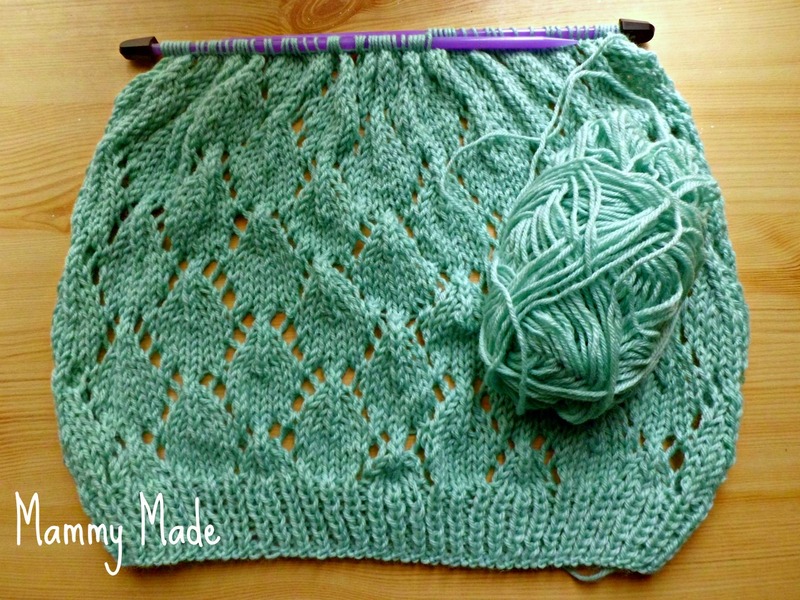 I hope we can help you figure out what happened with the armhole shaping..that lace looks lovely! Sorry about the first garment. Your Make up your Mind tank is looking fantastic. I also just finished this one and the arm shaping is really easy, so don't worry. Have fun! Isn't knitting on circular needles a dream?!?! Your tank top is coming along really nicely. The back of it on the pattern looks great. I look forwards to seeing your completed garment!